1. be in charge of an undertaking; administer; run. Force N is here to help you navigate and manage one of the fastest paced industries around. Our client-focused processes cover all your bases for smooth operation, from assessing your needs, to implementation, and finally responsive support. We work to make IT a seamless integration into your business; providing clients solutions that enable them to focus on their own business. Contact us today about seeing what solutions we can pair with your business. Assess your hardware and software requirements realistically, on-site. Our purpose is to make the best possible recommendations, while keeping your budget and needs at the forefront. Implement our recommendations after careful review and planning is complete. We will install the necessary components, test the system, retest, and launch only when you are satisfied and ready. Support your new hardware with multi-tiered options that give you the best bang for your buck. We love our customers and are always available to support our technology implementations. Force N Technologies Group is an agile business technology firm. With our innovative ideas, firm practices, and resourceful staff, we are dedicated to making your visions reality. We specialize in the application of technology in pursuit of lasting success for our clients. Our strength lies in our assessment of business challenges, creation of ingenious, sound solutions, and the provision of professional, compassionate service. Give us a call at 1-877-224-2976 OPTION 2. Grovedale Winery is situated on a beautiful and historical piece of land that has been in the Homer family since 1812. In order to reach further wine lovers in the Pennsylvania and New York areas, Jeff Homer approached Force N for a new website. 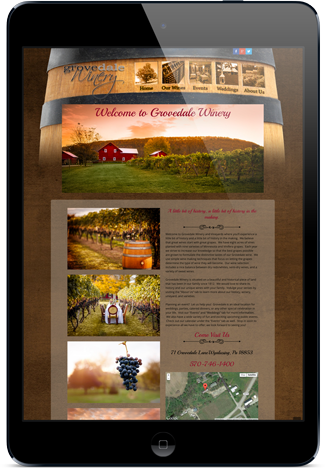 Utilizing stunning photopgraphy, virtual wine-bottle imagery, and founded upon the rich history that is Grovedale, Force N delivered a beautiful website that brings home that wine country feeling. We're excited to meet you & learn about your business. Get started and get in touch with Force N! 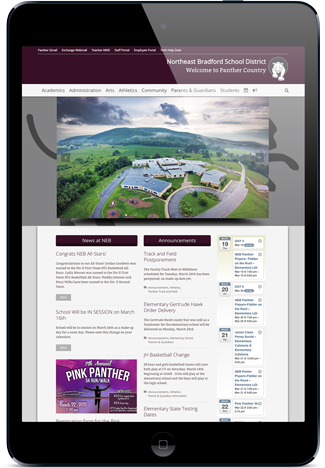 Our goal for Northeast Bradford School District was to create a valuable front page design that provides important annoucements, news, and calendar of events in your first view of the website. All content displayed is derived dynamically from multiple sources of information from the CMS. Force N empowered NEBSD administrators to control the website content and provide transparency to students, parents, teachers and tax-payers alike. TekSulate is the brain-child of Darren Roy. Darren observed a vacuum in spray foam services in the northeastern Pennsylvania/southern tier New York areas and decided to capitalize by providing powerful, efficient and cost-effective spray foam services of his own. 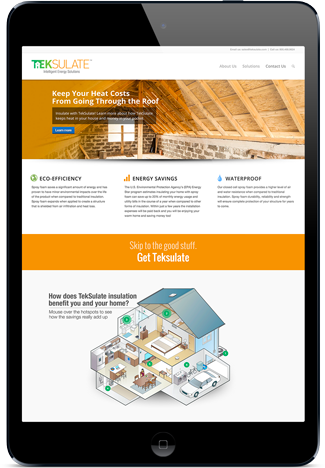 Force N is instrumental in creating a complete branding solution including original logo, web presence, and multiple other marketing products for TekSulate. Vivamus quis mi. Donec interdum, metus et hendrerit aliquet, dolor diam sagittis ligula, eget egestas libero turpis vel mi. Vestibulum facilisis, purus nec pulvinar iaculis, ligula mi congue nunc, vitae euismod ligula urna in dolor.